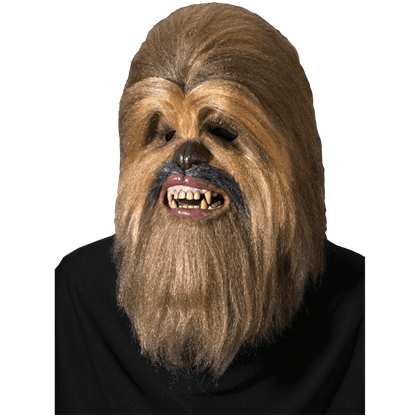 Star Wars is full of iconic heroes, villains, and colorful side characters. 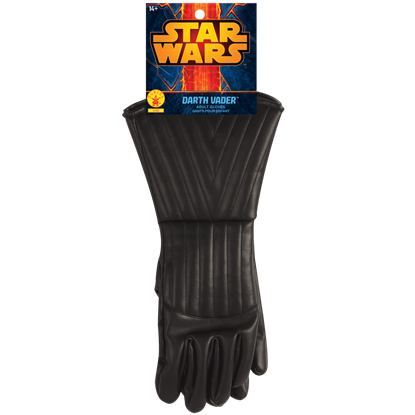 We carry a wide assortment of costumes and costume accessories so that you can dress as your favorite character from any of the Star Wars films. 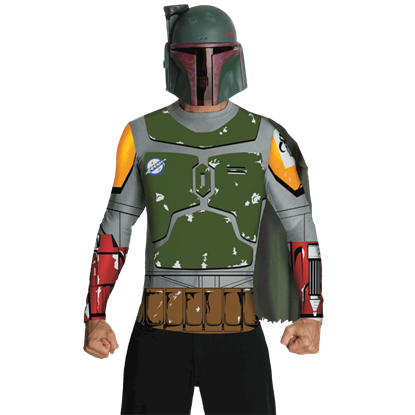 Heroes of all ages will love dressing as Jedi Knights or X-Wing Fighters, while those who prefer the Empire will dress as Stormtroopers or Sith Lords. 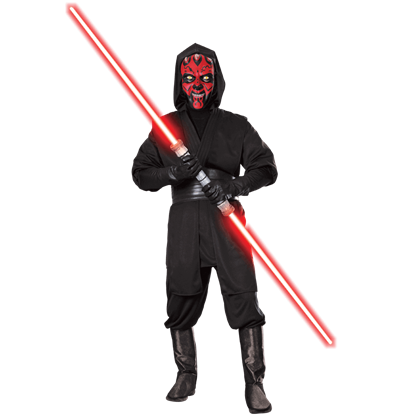 We have character costumes including Leia Organa, Boba Fett, Han Solo, Darth Vader, and Chewbacca from the original trilogy, as well as Padme Amidala and Darth Maul from the prequel trilogy. Fans of The Force Awakens can dress as Rey, Finn, Captain Phasma, or Kylo Ren. 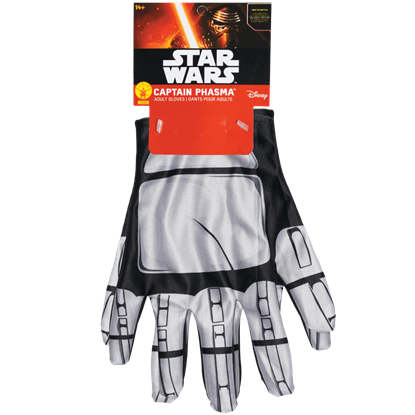 We have lightsabers, blasters, gloves, masks, and other costume accessories to help you develop the perfect costumed outfit for Halloween, cosplay conventions, or daily play. 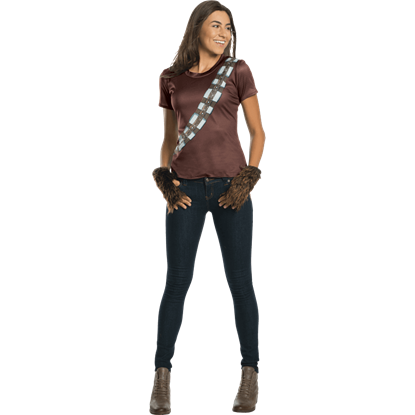 Keep checking back, as we are always adding to our Star Wars Costumes inventory as new styles become available. 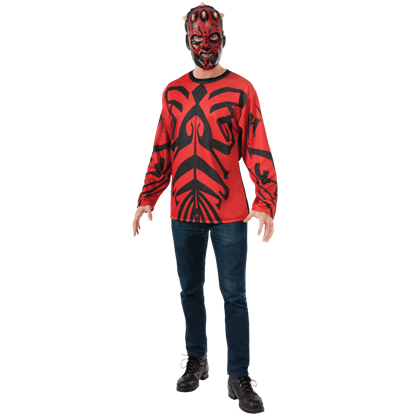 Take on the role of Star Wars villain while enjoying the relaxed fit of a long-sleeve shirt. 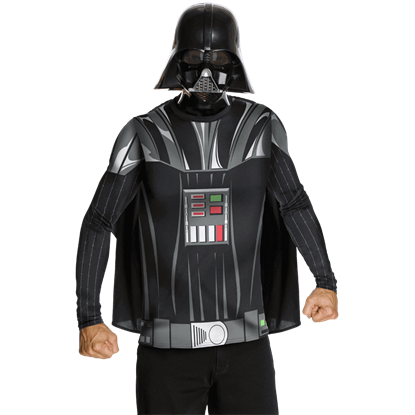 The Adult Darth Vader Costume Top with Maskis an exciting option for the Sith Lord who prefers to battle the Rebel Alliance in a comfortable tee. There will be no doubt that you have joined the dark side in this Adult Darth Vader Rhinestone Tank Dress. 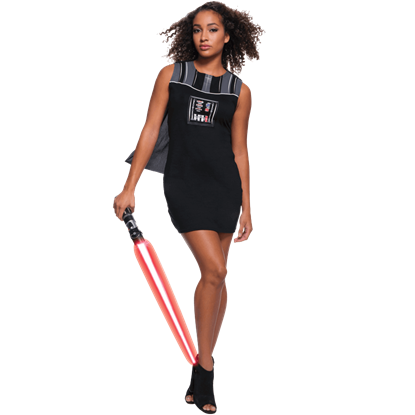 People will think Darth Vader has become your own personal stylist when you step out in this fashionable sleeveless dress. For Star Wars fans inspired by the Bandai Tamashi Nations Meisha Movie Realization figures, an exciting option for cosplay is here. 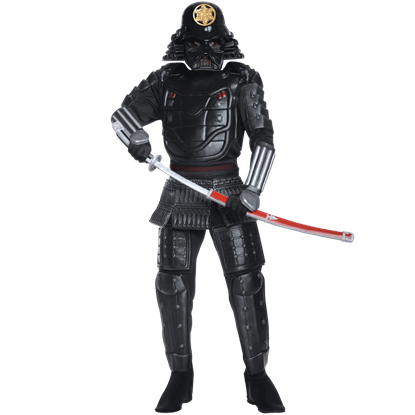 Appear as a Japanese warrior of the Galactic Empire with the Adult Darth Vader Samurai Costume.